2009 Photograph, Wat Na Kwai Ubosot,Rai Noi, Mueang Ubon Ratchathani, Ubon Ratchathani, Thailand, © 2014. 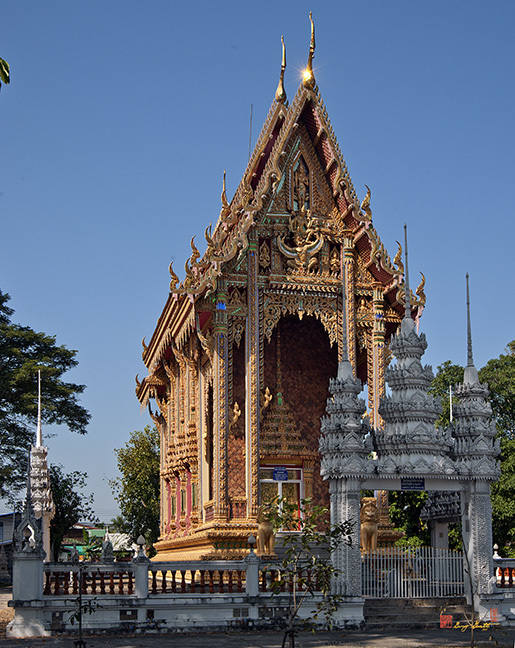 This Ubosot shows the high, narrow architectural style of Northeast Thailand (Isan). The predominantly brown tones are due to ceramic tiles covering the walls.